*Additional treatments: $100 Value FREE (Sinus & Ear) Receive 2 additional treatments completely FREE during your Panchakarma Program, a unique feature for Panchakarma at AyurRoots wellness center, Plano. Panchakarma. Panchakarma is Ayurveda’s purification and rejuvenation method and therapeutic means of eliminating impurities from the body and mind. It is designed to remove deep rooted stress and impurities while balancing the doshas – those energies or life forces that govern all biological functions. The main essence of Ayurveda is to live life at its fullest with good health at all levels. With our Panchakarma (detox) program, you can cleanse yourself from several elements of emotions including those of: fear, anger, jealousy, sadness, among others. All of such emotions when unchecked can store up in a person’s body system and this is practically unsafe as it has the potentials to trigger physical and emotional imbalance for years & years. When left untreated – we release such old forms of behavior which we uncontrollably find ourselves revisiting over and over again. At AyurRoots Wellness Center– we have designed programs to help cleanse and burn off such underlying issues. This will help burn unwanted elements of dark emotions as well as completely detoxify all the conserved toxins that hide in the body system. 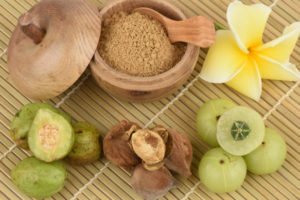 Here at AyurRoots Wellness Center – we have designed a number of diverse detoxifying program options to fit into each individual’s specific cleansing needs.These can be achieved even from the convenience of your home. The programs can be done at your own time and the process offers added benefit of cleansing your entire body, liver & lymphatic system. You can reach out to us now to find out more how we can help you detoxify efficiently to your full health benefits! To begin your detox you will make an appointment with our Ayurveda Practitioner, to discuss your health goals and concerns and to create a detox plan. After you complete your consultation you get to choose from a 3, 5 or 7 day Panchakarma. A Panchakarma day begins with Consultation and yoga and then you will shift into your body therapies. A special Panchakarma Meal is included as a part of detox program. It is known for its beneficial effects on overall health, wellness and self-healing. Our customized Panchakarma program (not a cookie cutter approach) is designed by Vaidya Meenakshi Gupta and based on her 20 years of clinical Ayurveda experience, is custom-tailored to your current state of health, wellness and constitution. It is the starting point to pro-actively manage and improve your own health and wellness. 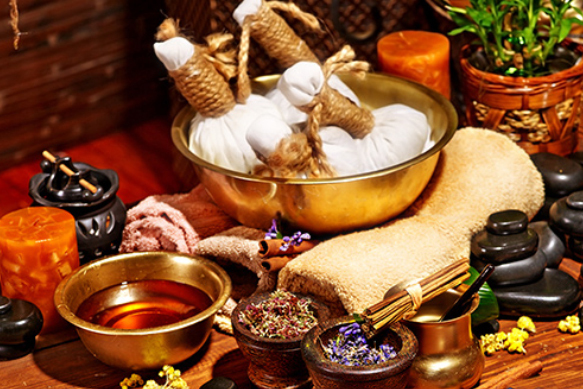 Personal attention is given to each Client’s specific needs by Ayurveda Practitioner. • Promotes ultimate wellness by building immunity, thus you become more resistant to illness. • Reverse the adverse effects of stress on your body and mind thereby preventing premature aging. • Helps with weight loss. • Provides deeply needed rest & relaxation. • Offers mental clarity and increased concentration. Enhance your self-reliance, strength, energy and vitality. • Bring Sense of well-being.